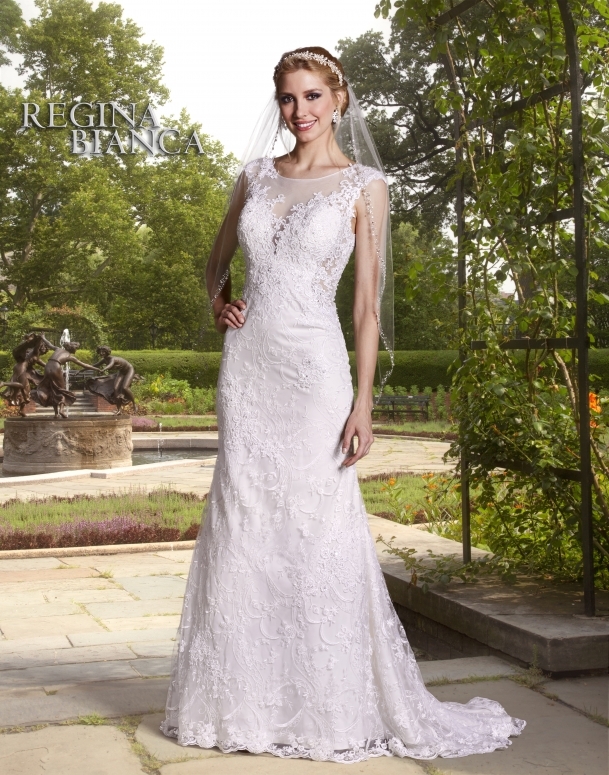 Fantastic fit and fare wedding dress with sheer yolk open neckline and tank straps. The torso and skirt are fabricated of lace applied to embroidered net. There is a low scoop back with covered buttons over the zipper and a court train.